…but what is it selling? 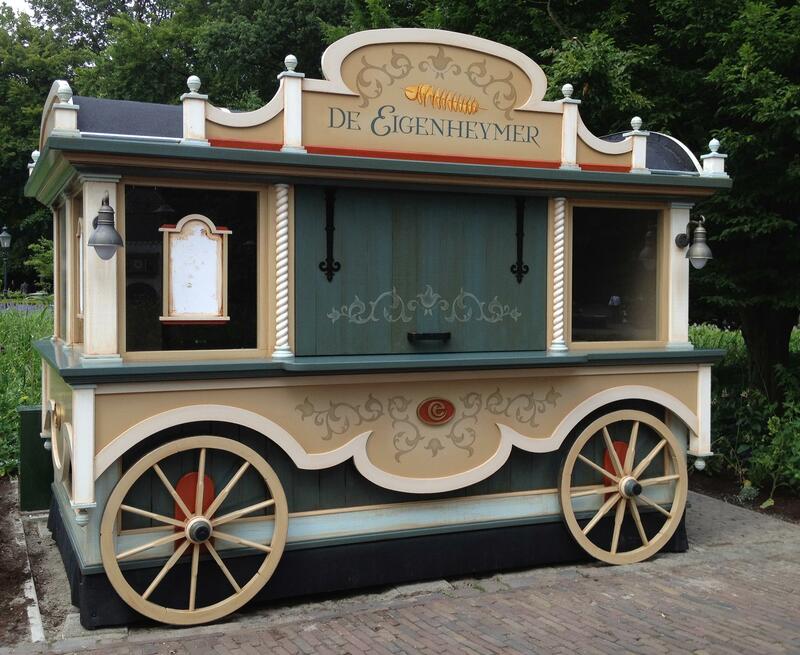 It does not open until July 18th, but Efteling posted a picture of the cart to their Facebook wall. It is hard to tell what it will be selling, though the image on the top of it looks like fries on a stick. It appears to be located outside and to the right of the Villa Volta. Any ideas as to what it is? Well whatever food it will produce, it does look very nice! We now have 76 Facebook fans but we always welcome more! Please check us out by searching for Efteling UK. The cart is named “De Eigenheymer”, which is the old fashioned spelling of “eigenheimer”. This is a type of potato, given the picture I have the idea that they’ll sell french fries or crisps.